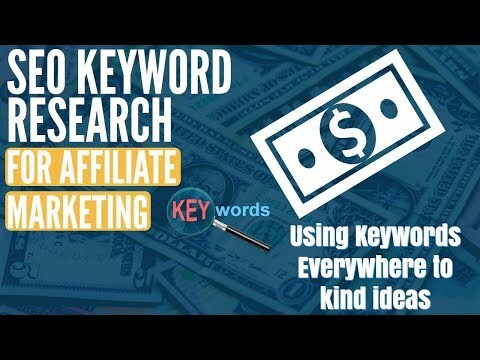 SEO Keyword Research For Affiliate Marketing in 2019 – Using Keywords Everywhere and Ahrfes just like what Greg Morrison teaches in OMG. Now to the nuts and bolts of keyword searches in affiliate marketing or in any niche for that matter. What do you mean Shane….another way to find keywords? Yes, it has been very effective in 2018 and will continue to be in 2019. Is this just another BS SEO video like all the other so-called experts? I have been trained by Greg Morrison from OMG which is the best in the business of search engine optimization. So Greg Morrison is better than the Josh Bachyznski? Wait a minute….let’s not compare SEO experts like that, they both get the job done while both are using testing but different viewpoints so I won’t get into that SEO debate. I respect both of them….Greg taught me how to rank though and yes I rank, anything I want….it is just a matter of time really. Now that we have the SEO talk out of the way let’s talk about what you will learn in this video. As you see in the video, I use the chrome ext Keywords Everywhere it pull data during a normal Google search. Then I take the data from the Keywords Everywhere extension and add one keyword at a time into Ahrefs to see how it stacks up with a worthwhile venture or not. You can import all the keywords into Ahrefs to view the stats but I just find it easier to keep track of what is what by doing this the best keyword as I showed in the video. Oh….for those names mentioned in this comment section, guys…I highly respect both of you so no bad intent here so I hope none taken. For everyone else, I hope you enjoyed the quick little piece of data. Go ahead and put it to work. I would love to hear your thoughts on this and if you have seen this issue before so please leave a comment below.